Drew Diplomat is now Live! Today, Drew Estate announced the launch of their long awaited Drew Diplomat app, which is now available in the App Store for iPhone®, iPad® and iPod Touch® and on Google Play™ for Android™. 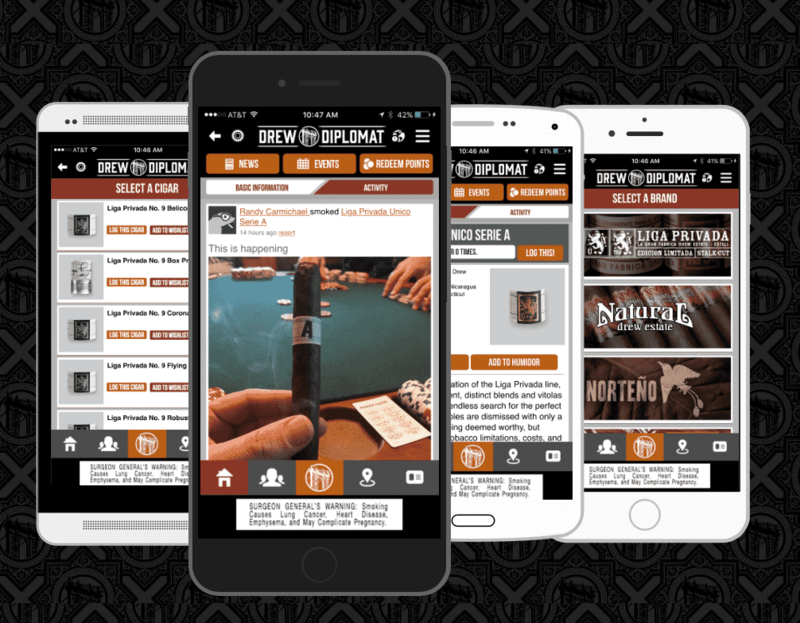 With the Drew Diplomat app, Drew Estate intends to change the cigar industry yet again.